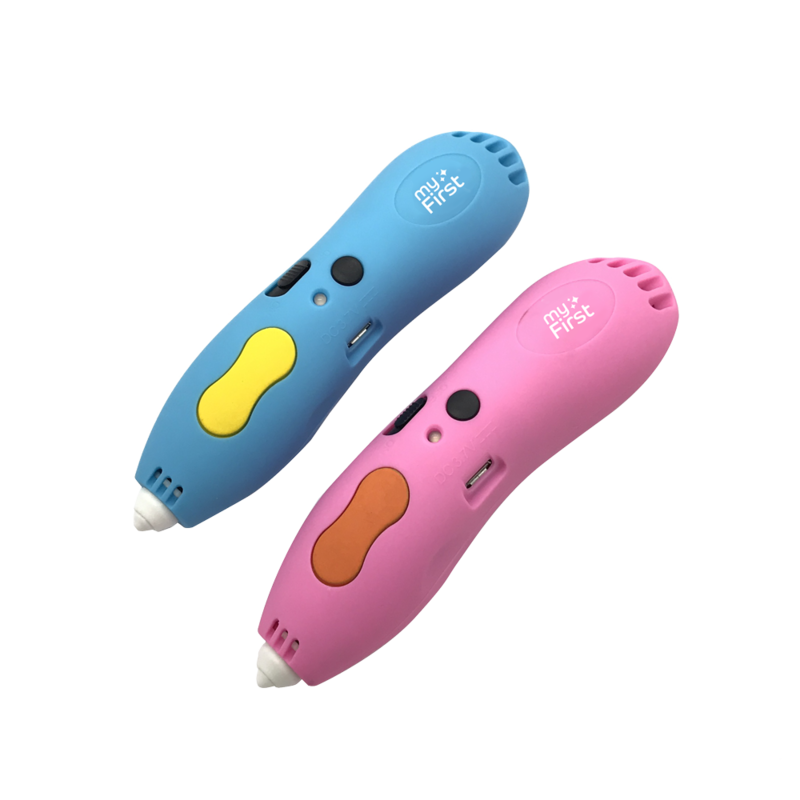 myFirst 3dPen is designed to add joy to your child’s learning process. After all, drawing is the building block for learning new complex concepts. Journey with us as we build big minds together! 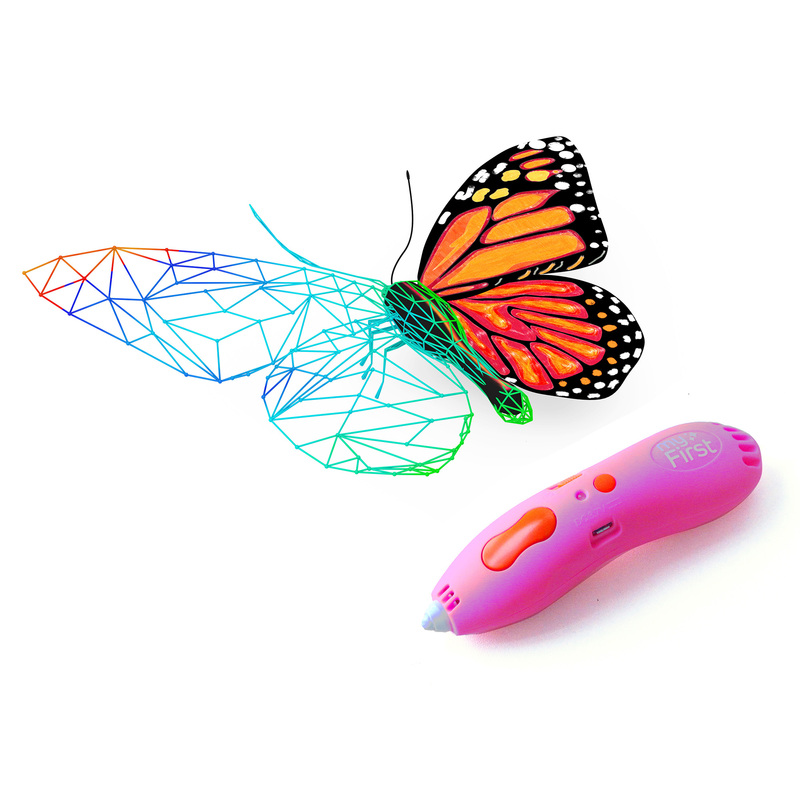 Introducing myFirst 3dPen, perfect for children who loves to draw. They can create 3D models, it is easy to use and made with safe materials. Our filament is designed to be pliable at low heat. Safe for kids with no hot parts. Comes with design templates for instant fun! 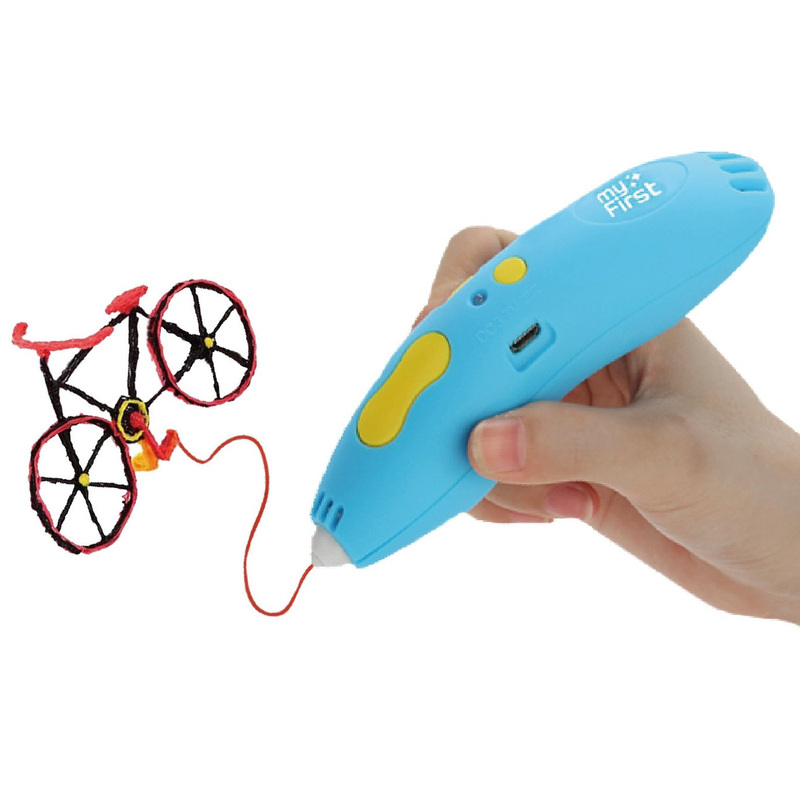 Draw on any surface, or in the air. Operate wirelessly and bring your imagination anywhere! 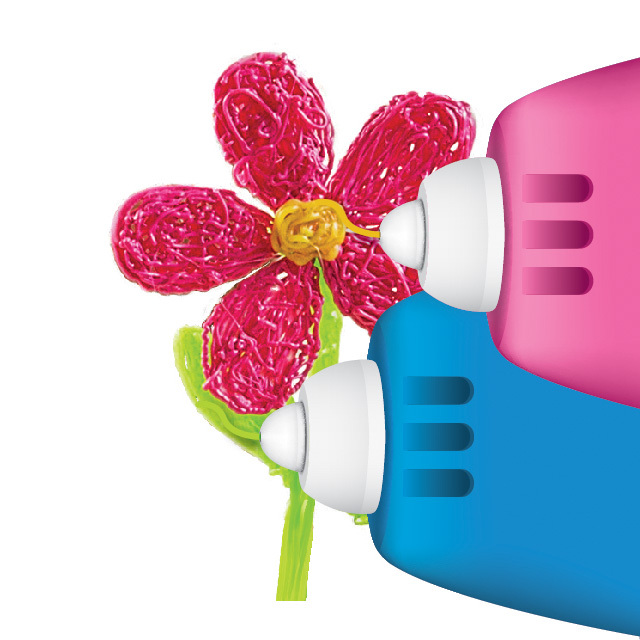 No messy tangles. The ultimate do-it-yourself toy for kids. Compact and rechargeable for maximum utility. Master the craft and create a world of fun. One button with multiple function. Click ONCE to start or stop drawing. Click TWICE and pull the excess filaments out. It’s that SIMPLE. Low heat filament with fast solidification. Non-adhesive material filament and easily cleaned off. Inbuilt battery with USB charging. Device can be taken apart easily to clean the inside. Does not require connected wire to operate for easy usage. Safety is important. The heat from inner device does not pervade the exterior, which protects the child from the heat entirely. PLA materials are NOT harmful to the touch. Multi-colored filaments readily available. 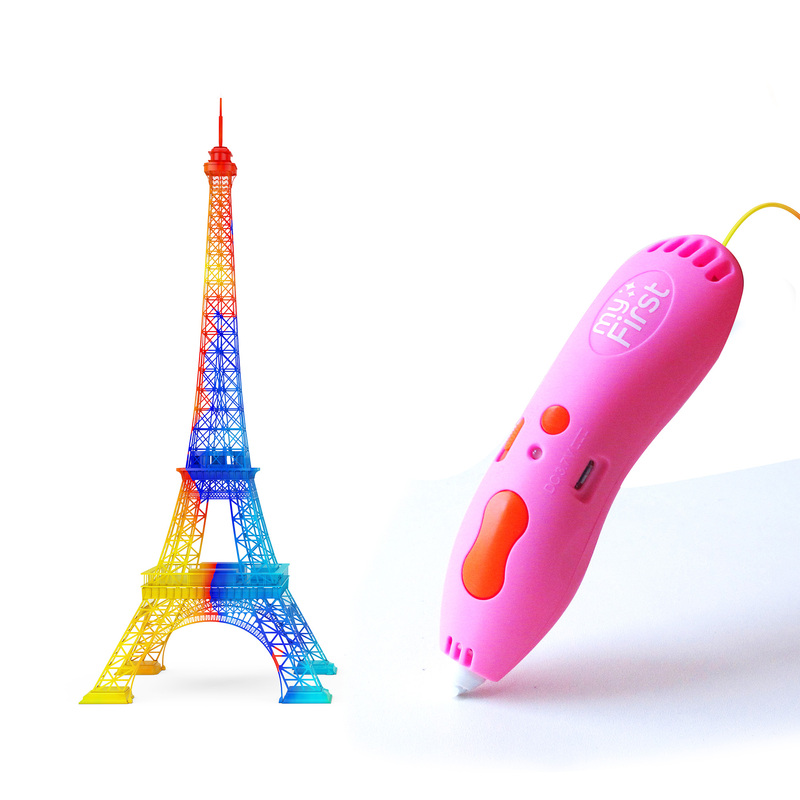 The filaments used for myFirst 3dPen contains PolyLactic acid (PLA). PLA is a biodegradable and bioactive thermoplastic polyester made from renewable materials.